Graduated High School in the Bronx at age 15 and attended Queens College. After 3 years of college, moved to Florida where she taught tennis, and worked at a Travel Agency. The agency owner saw her potential, became a mentor, and extended a long leash. She later worked for Polygram Records, rubbing elbows with a number of celebrities. Nights were filled with Disc Jockey gigs in the area’s Clubs, and soon led to a DJ position with Norwegian Cruise Line. Once aboard their cruise ships, she soon wanted to become a Ship’s Officer. They recommended she first become an Officer in the Merchant Marine, or the US Navy…so…the USN was the next adventure. A fast talking recruiter signed her up as a Seaman Recruit, telling her that with three years of college under her belt, she’d soon become an Officer. Wrong answer! After Boot Camp (Goldie Hawn style) she trained in Pensacola to become a Cryptologist, mostly interpreting enemy signals. Her first assignment was to Wahiawa, on Oahu. While there, she attended college, obtained a BS in Psychology, but was still unable to break into the Navy’s Commissioning Program. While living in the barracks, her room mate spread word that Nancy had connections to a resourceful Travel Agency in Florida, so sailors from the Station, and Soldiers from the nearby Army Base were soon coming to her door for airline tickets. She had clientele! Disillusioned with the Navy, she did not re-enlist, and was on her way out, when she met Lon who was the Station’s Supply Officer/Comptroller. They were both training for the Honolulu Marathon, so began running together at lunch time. Nancy discharged from the Navy, dated Lon, and they soon married. What would she do next? Well, her Military clientele stayed loyal, and soon a business known as Sun Tours & Travel was born. She hired a neighbor girl, and convinced an airline reservation system to install a system in the apartment as an experiment. She became so busy, that Nancy and Lon were forced to take the business to a commercial site in 1989. Fueled by a non-stop desire to experience new and exciting things, Nancy’s intensity and energy are contagious. Of course, she has traveled the world many times over. For example, she has already been a paid customer on 82 cruises, sailing for more than 750 days to 90+ countries. Interacting with people and making them happy, is her greatest reward. She loves to hear customers say “where are we going next year”, meaning that they assume Nancy will lead another group, and they are coming along, no matter where it is. She loves what she does, and does what she loves. Born in Red Wing, MN. Facing the draft (Vietnam War), Lon deferred military service until graduation from Luther College in 1971. (BA in Business). 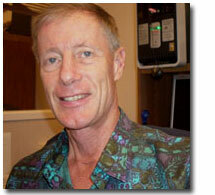 While in college, he was recruited by the Navy for their Supply Corps Officer Program. Attended Officer Candidate School in Newport, RI. Graduated in top 10% of his class, so was immediately part of the Regular Navy rather than Reserve Navy. A 21 year career ensued, during which he earned a Masters Degree in Systems Management, something close to an MBA. In his words, “It was a wake up call. A boy from small town USA gets instantly put on the front line, leading 50 men, some old enough to be my father. The responsibilities were great, I loved being at sea, and I realized that life on the outside was not going to be any more satisfying than this. The Navy was a good fit…I enjoyed it ! Of course when retirement came, I had to get a real job!” As it happened, Nancy had already begun Sun Tours, and was in serious need of admin and accounting expertise, so Lon began working without pay. 24 years later, Lon is now an integral part of the team. Duties include accounting, taxes, payroll, administration, IT, and just about everything which is not directly related to sales. And we even pay him! 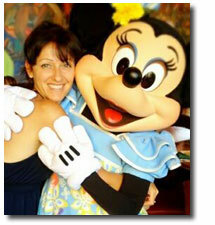 Having served Sun Tours customers for twenty years, Gisela has a wealth of travel knowledge in her arsenal. Planning the perfect vacation is no easy task, but she pulls it off routinely. Not only is she a skilled travel expert, she is one of the most sincere, down-to-earth, and helpful persons you could ever hope to meet. She is married with two children…one in college, and one in high school. 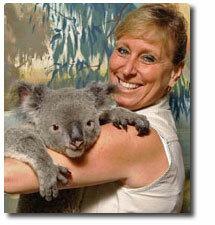 Angela has been our mainstay for nearly 22 years. She was raised just a few blocks away, so she can easily walk to her Mom’s house from the office. She has vsisited the Philippines, Fiji, Tahiti, Canada, The Hawaiian Islands, Alaska, and all over the continental United States. We even convinced her to take a few Cruise Vacations…like many folks, she was reluctant at first, but is now a believer. Angela is amazingly efficient, and very easy to talk to. She is our top producer. 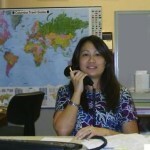 You would do well to have her working on any of your travel arrangements. Angela is married to a retired Navy Officer, and has one daughter who has graduated from college, and is employed nearby.